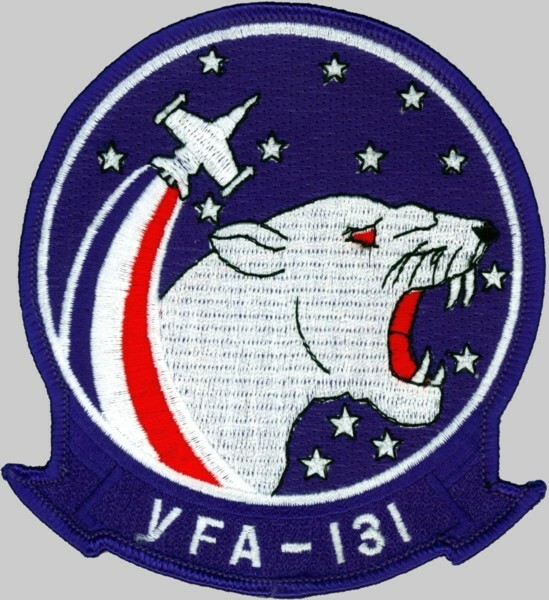 Strike Fighter Squadron ONE THREE ONE (VFA-131), the WILDCATS, was established at NAS Lemoore, California, on 02 October 1983. 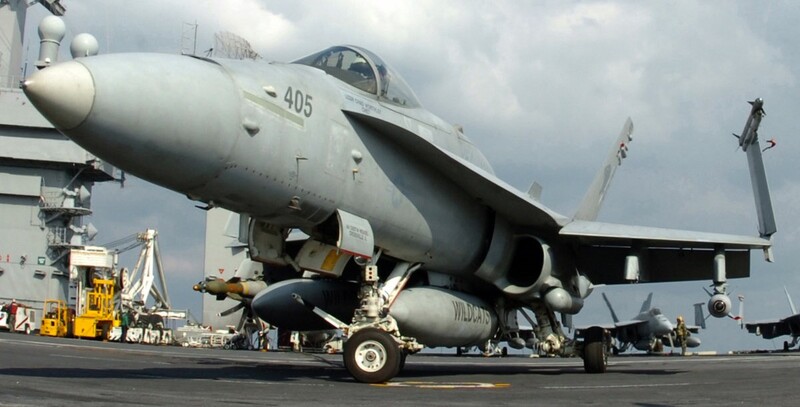 The WILDCATS received their first F/A-18A Hornet in May 1984. 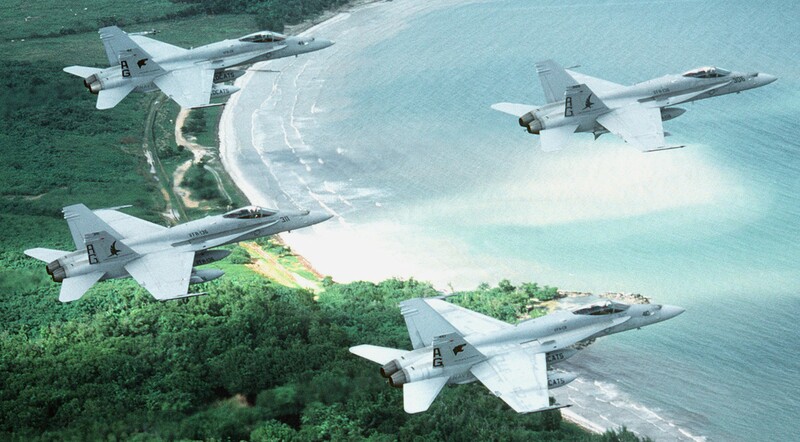 In January 1985, the WILDCATS moved to NAS Cecil Field, Florida, and became “AIRLANT’S First and Finest” F/A-18 squadron. As part of Carrier Air Wing THIRTEEN (CVW-13), the WILDCATS deployed to the Mediterranean Sea in October 1985 onboard USS CORAL SEA (CV43) and participated in air strikes against Libya. 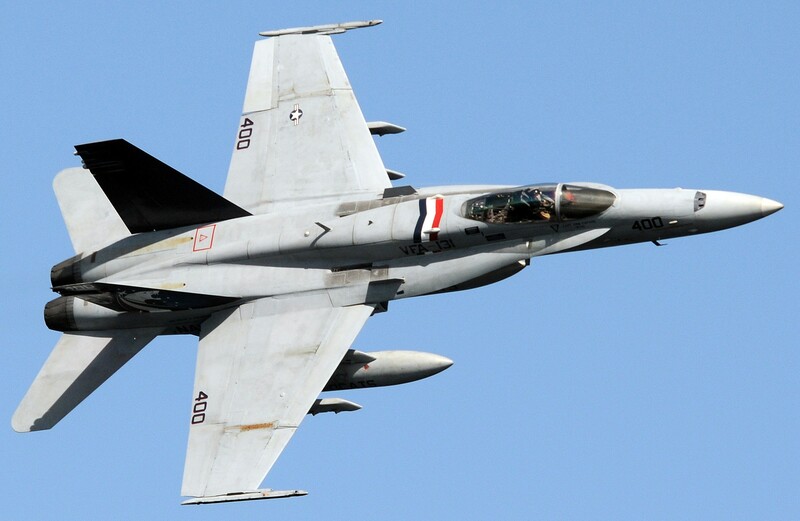 In 1986, VFA-131 was awarded the AIRLANT Battle “E”, the Silver Anchor for personnel retention excellence, the CAPT Michael J. Estocin Award for the best FA-18 squadron in the U.S. Navy, and were the first AIRLANT F/A-18 squadron to receive the CNO Aviation Safety “S”. 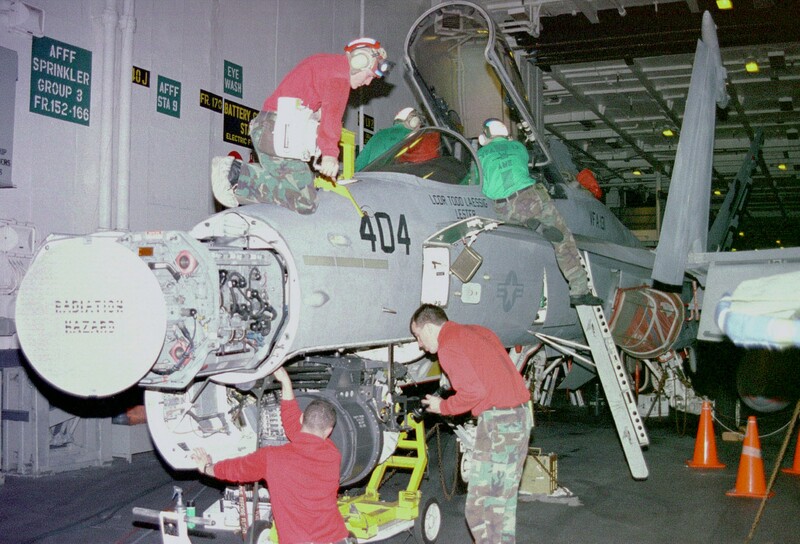 The WILDCATS completed their second Mediterranean deployment onboard the CORAL SEA in March 1988. 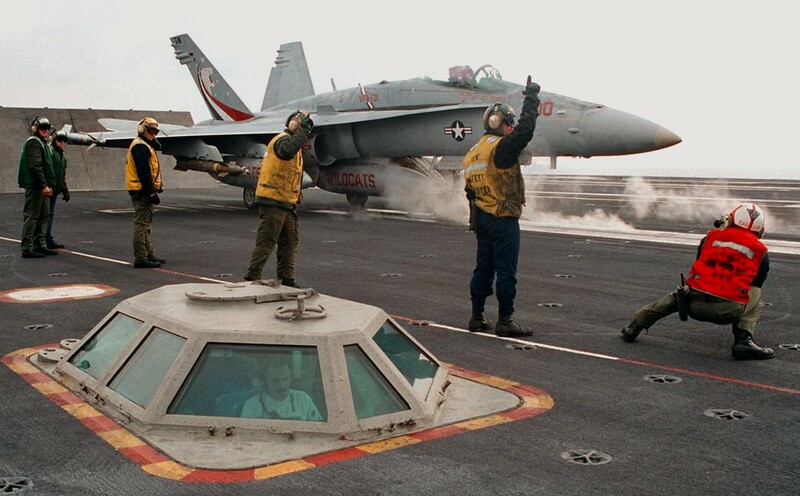 In August 1988, VFA-131 embarked in USS INDEPENDENCE (CV62) for a two-month transit via Cape Horn from Norfolk to San Diego. 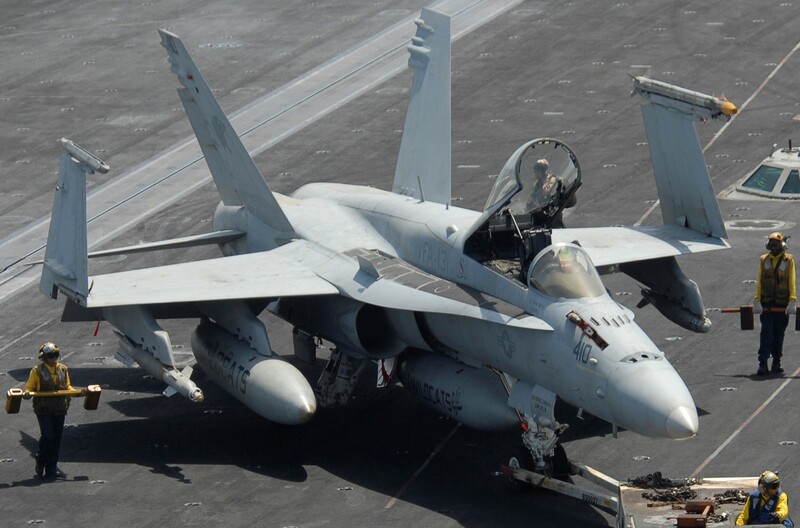 In October 1988, the squadron joined Carrier Air Wing SEVEN (CVW-7) and deployed to the Mediterranean Sea onboard USS DWIGHT D. EISENHOWER (CVN 69) in March 1990. 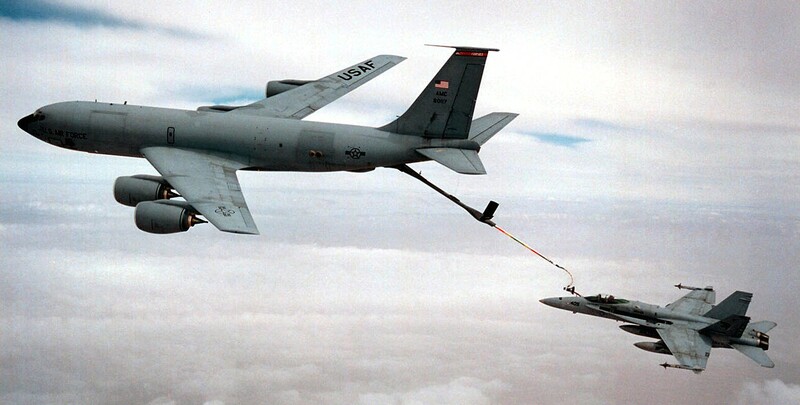 In August 1990, EISENHOWER and the WILDCATS were among the first United States Armed Forces to respond to the Iraq invasion of Kuwait as part of OPERATION DESERT SHIELD. 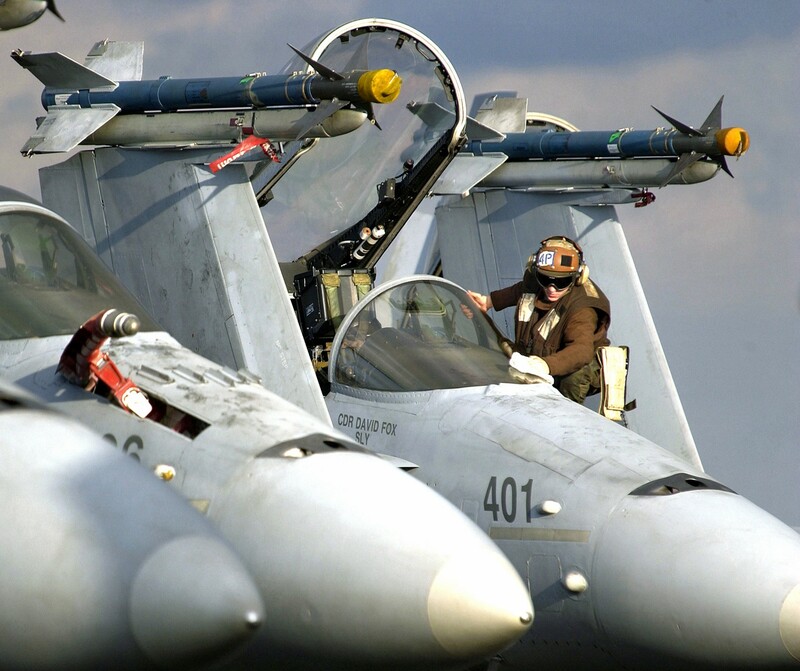 In September 1990, the squadron transitioned to F/A-18C Lot XIII Night Strike Hornets. 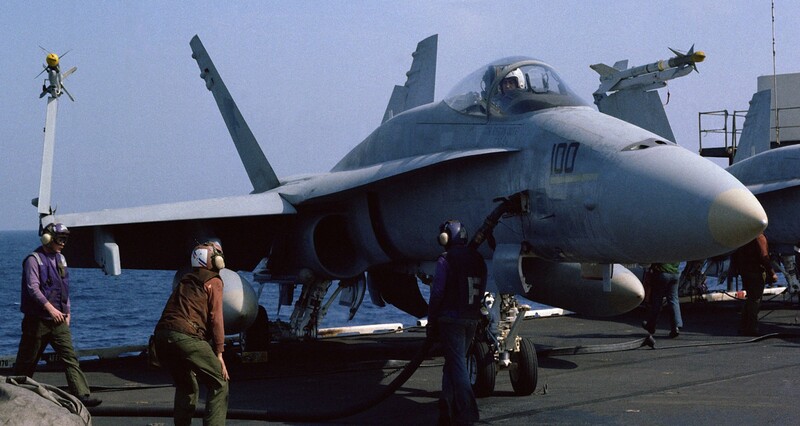 One year later, after a rapid turnaround, the squadron again deployed onboard the EISENHOWER to the Red Sea and North Arabian Gulf in support of OPERATION DESERT STORM. 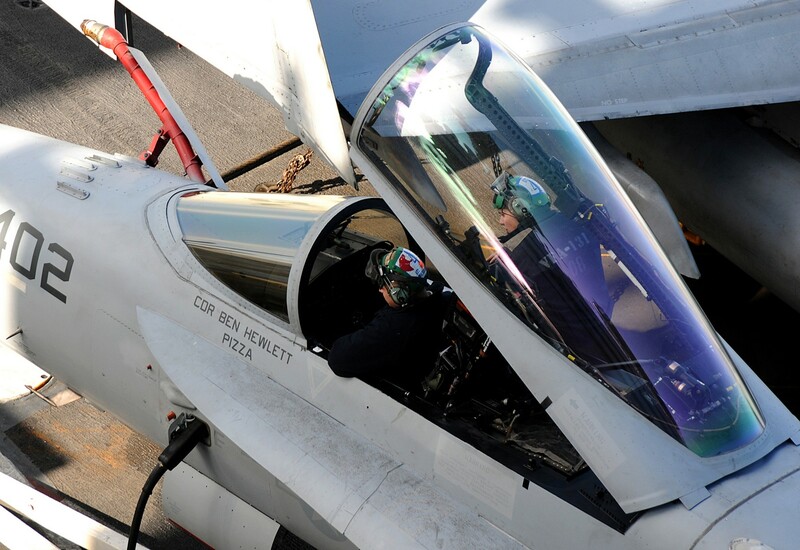 The deployment concluded with operations above the Arctic Circle in support of Exercise TEAMWORK 92. 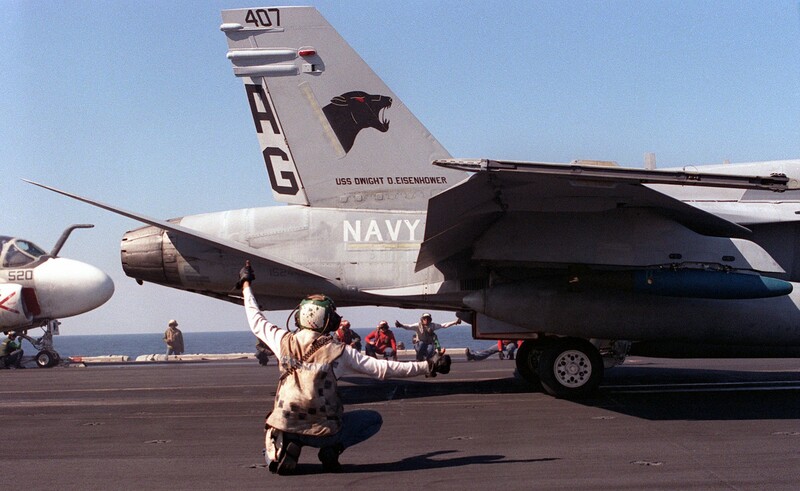 In May 1994, the WILDCATS were part of the maiden deployment of the Navy’s newest nuclear-powered aircraft carrier, USS GEORGE WASHINGTON (CVN73). 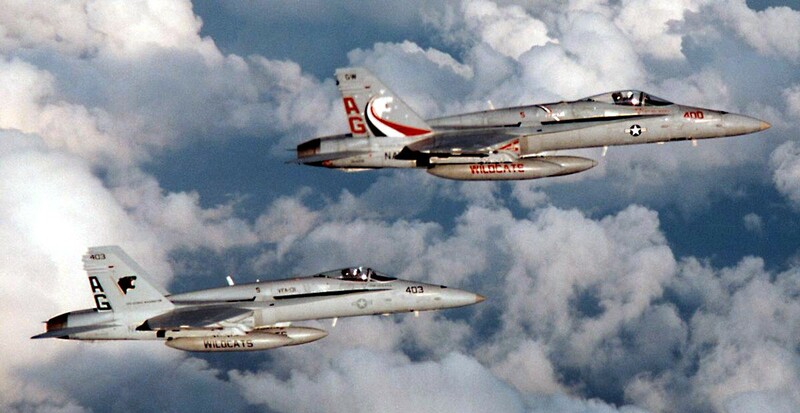 The WILDCATS flew sorties in support of OPERATION DENY FLIGHT over Bosnia-Herzegovina and OPERATION SOUTHERN WATCH over Southern Iraq. 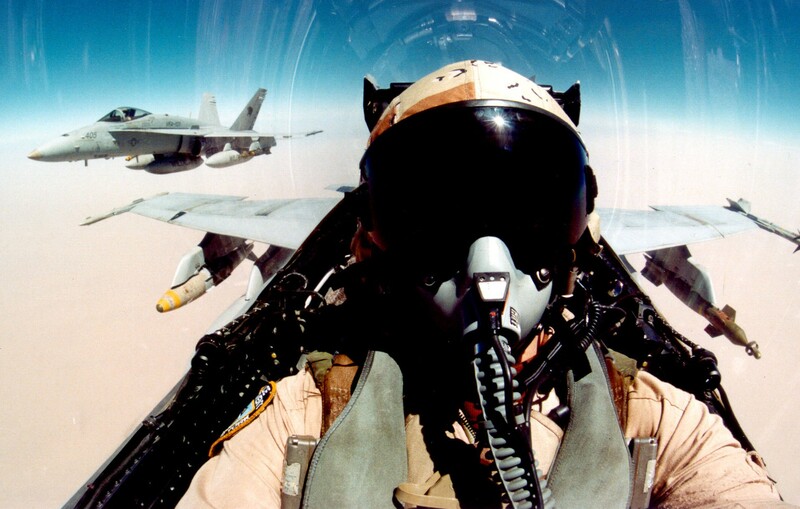 In October 1994, the WILDCATS returned to the Arabian Gulf and participated in OPERATION VIGILANT WARRIOR, in response to Iraqi aggression. 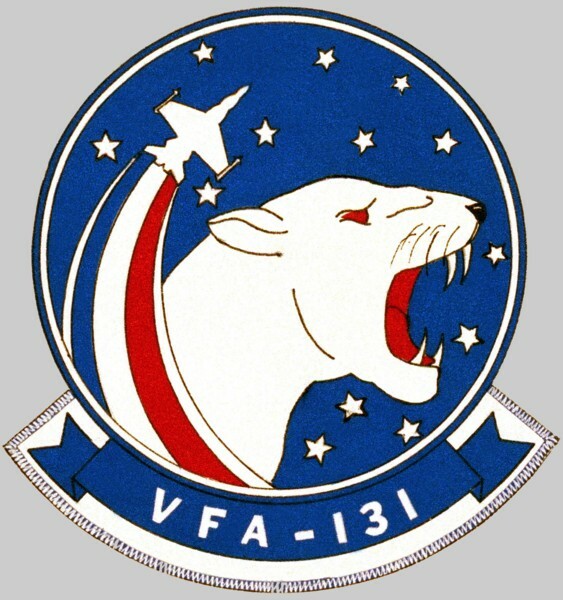 In November 1994, VFA-131 returned to Cecil Field and again won the CNO Aviation Safety “S” and the CAPT Michael J. Estocin Award. 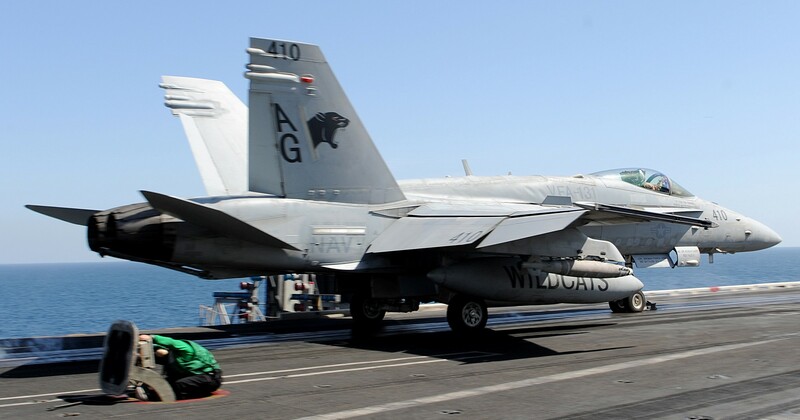 In April 1996 the WILDCATS deployed onboard GEORGE WASHINGTON to the Mediterranean, Adriatic Sea, and the Arabian Gulf in support of OPERATIONS DECISIVE ENDEAVOR and SOUTHERN WATCH. 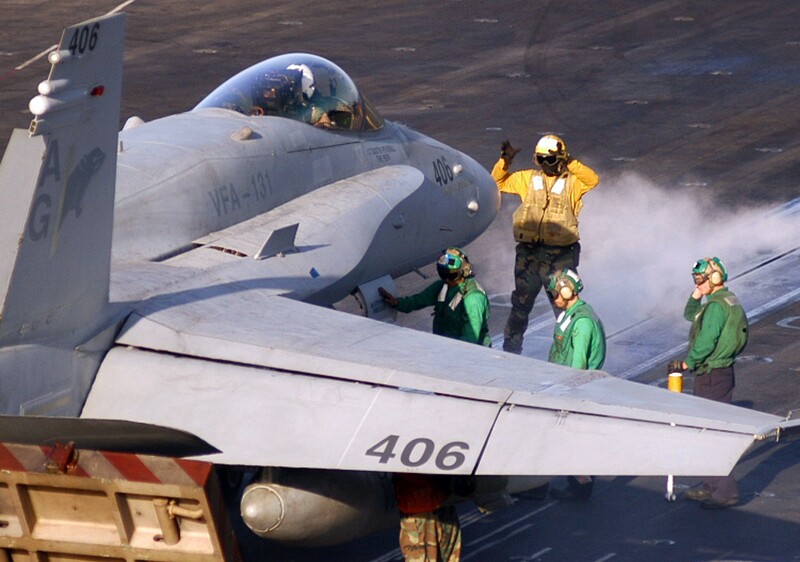 In February 1998, the WILDCATS deployed for the “Around the World”, maiden deployment of USS JOHN C. STENNIS (CVN74), supporting OPERATION SOUTHERN WATCH in Iraq. 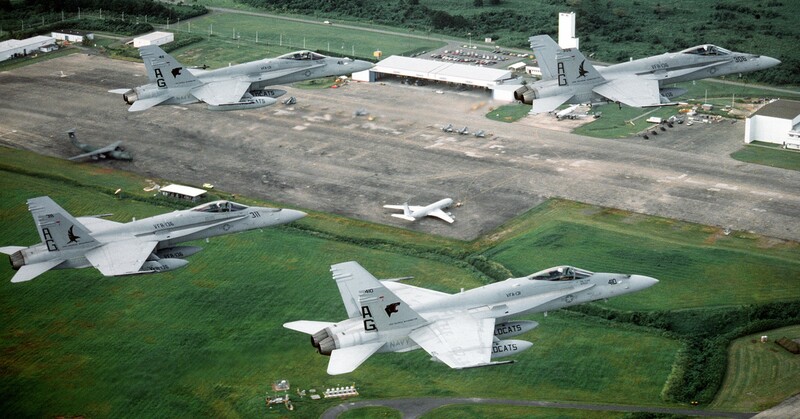 Upon their return in December 1998, the WILDCATS relocated from NAS Cecil Field, Florida, to NAS Oceana in Virginia Beach, Virginia. 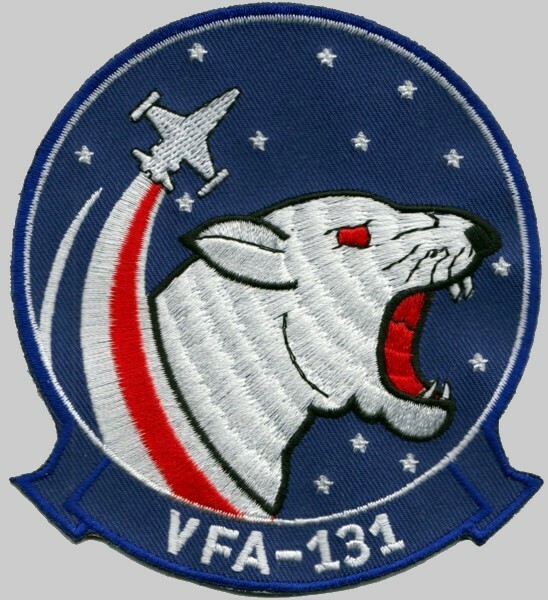 In 1999 VFA-131 successfully integrated their first female Aviators into the squadron and deployed in February 2000 to the Mediterranean, Adriatic Sea, and Arabian Gulf onboard EISENHOWER in support of OPERATIONS JOINT GUARDIAN, DELIBERATE FORCE, SOUTHERN WATCH, JUNIPER STALLION and INDIGO ANVIL. 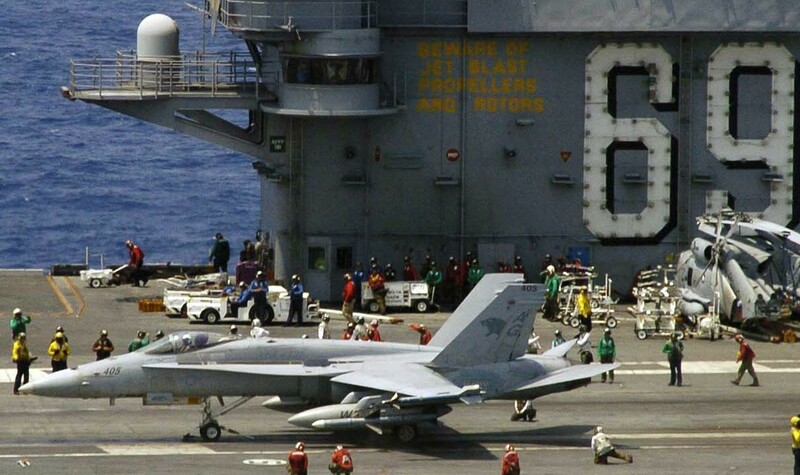 September 11, 2001 had the WILDCATS underway onboard USS JOHN F. KENNEDY (CV67). 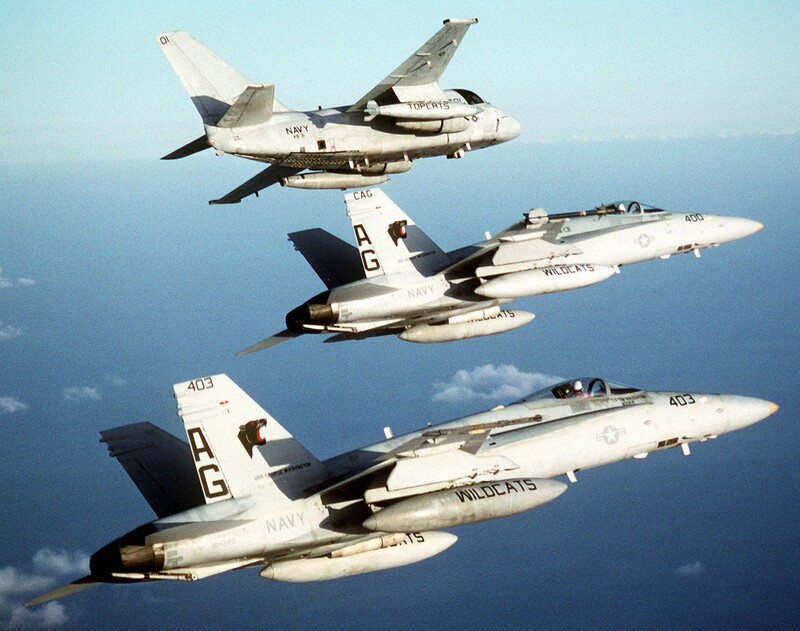 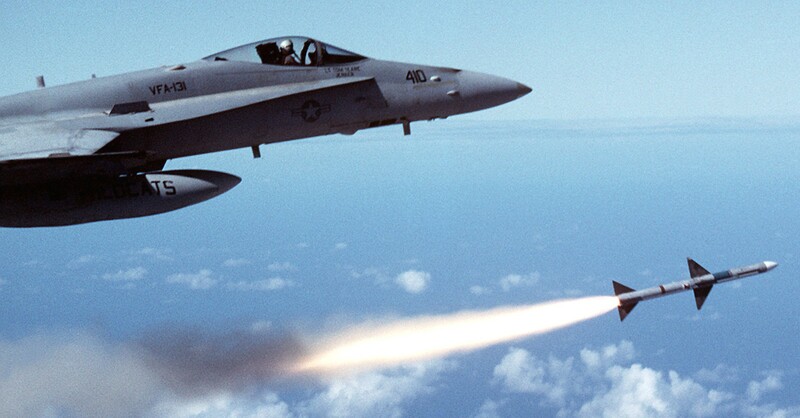 Within hours of the terrorist attacks, armed WILDCAT Hornets were conducting air patrols over the nation’s Capitol and New York City from GEORGE WASHINGTON in support of OPERATION NOBLE EAGLE. 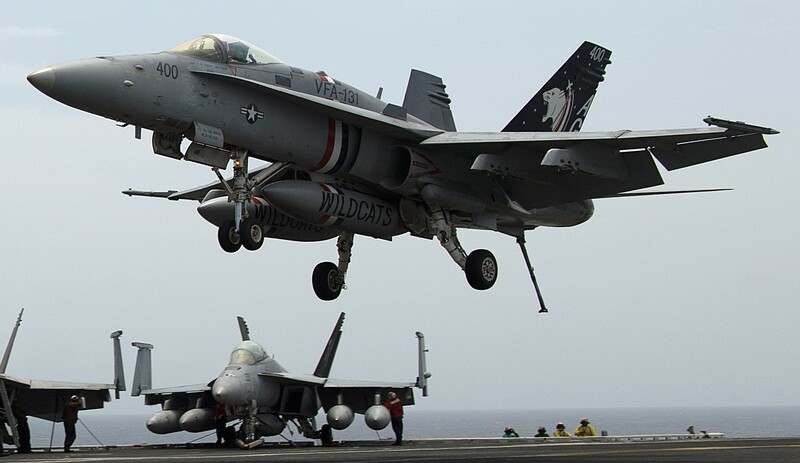 In February 2002, the WILDCATS deployed to the North Arabian Sea to take part in OPERATION ENDURING FREEDOM onboard KENNEDY, flying combat sorties over Afghanistan. 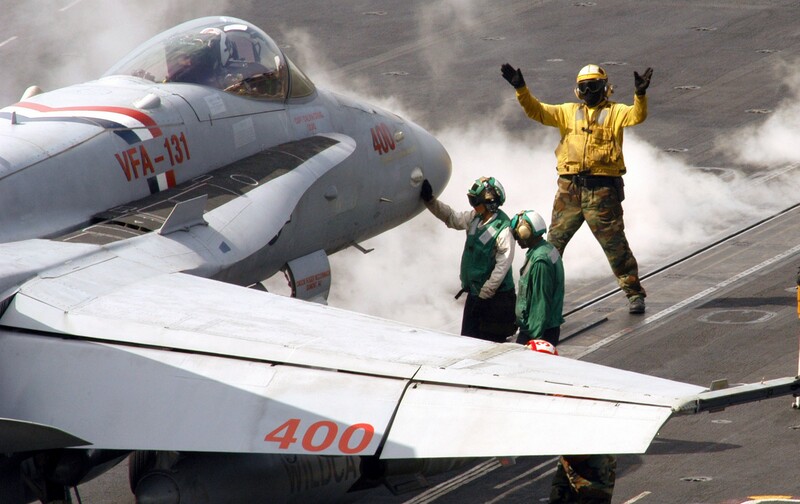 The WILDCATS were awarded the 2002 AIRLANT Battle “E”, CNO Safety “S” and Captain Michael J. Estocin Award. 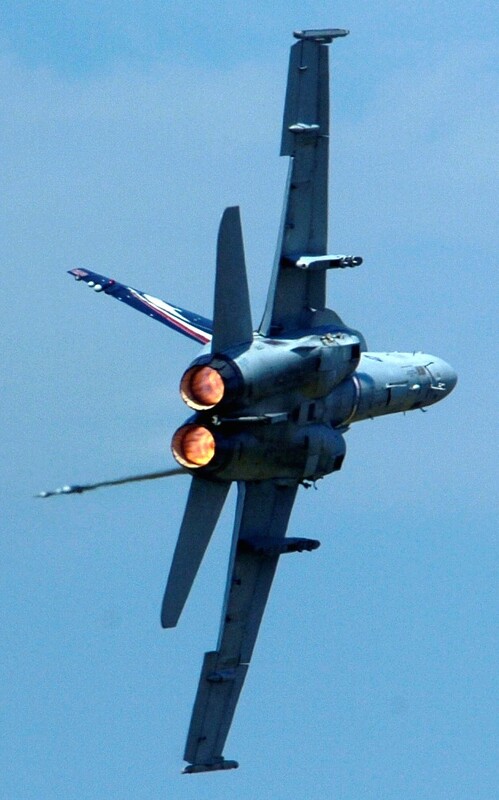 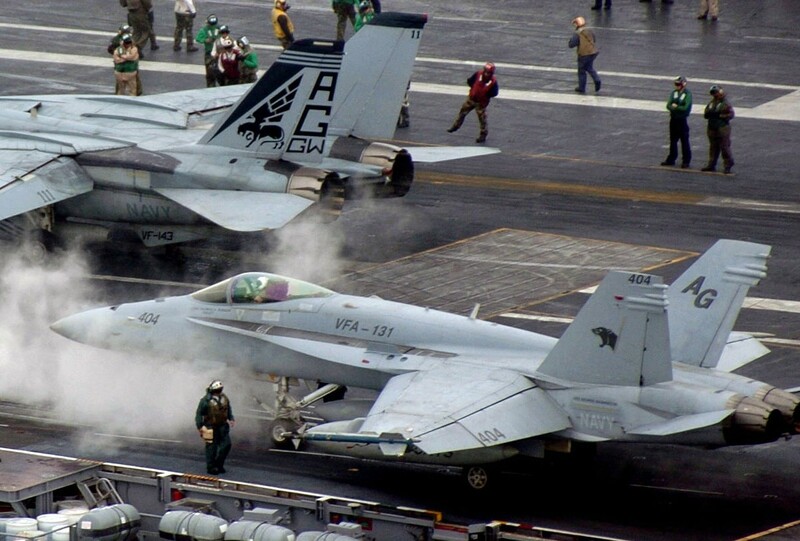 During the summer of 2003, the WILDCATS executed a complete aircraft swap, upgrading to Lot XIX Hornets and becoming the first F/A-18C squadron to receive Link 16 capability (MIDS). 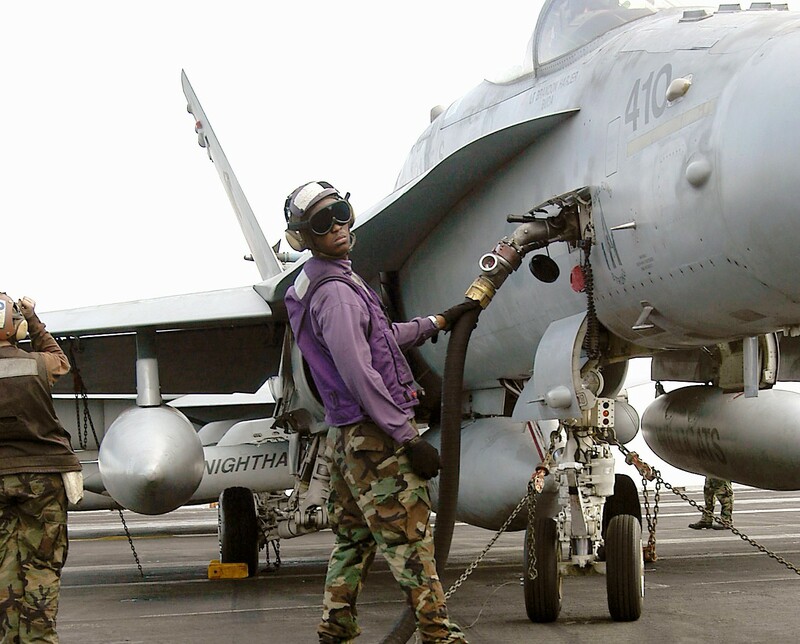 From January to July 2004, the WILDCATS deployed onboard GEORGE WASHINGTON in support of OPERATION IRAQI FREEDOM. 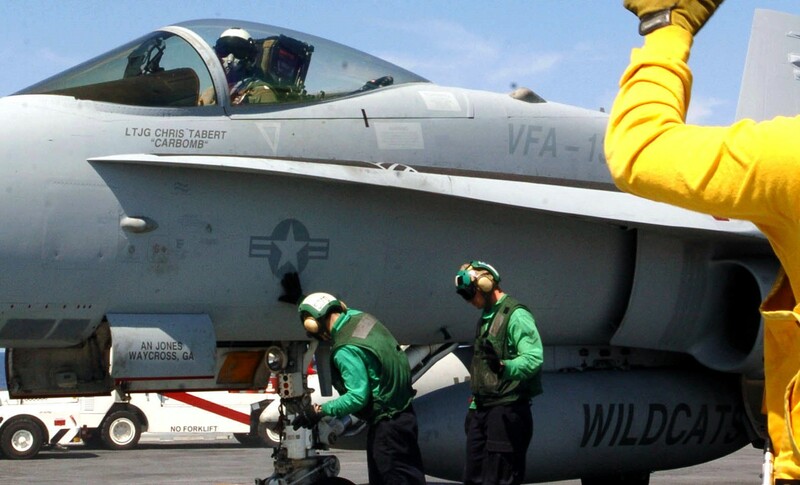 In the fall of 2003, the Theodore Roosevelt Strike Group and the Bataan Expeditionary Strike Group joined Carrier Strike Group Eight to comprise the Eisenhower Strike Force. 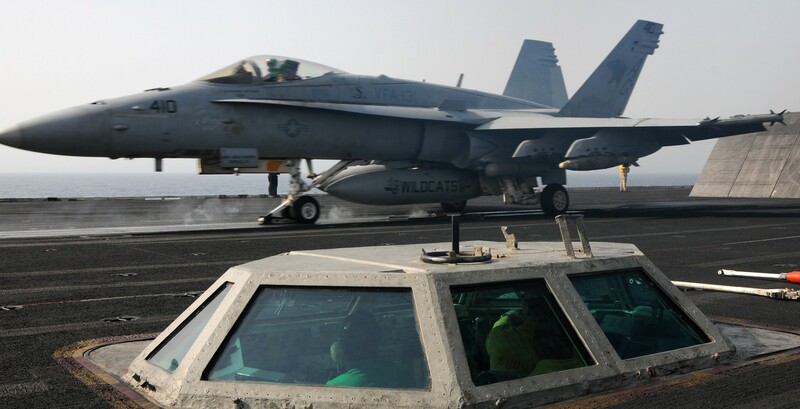 On October 3, the WILDCATS deployed onboard the EISENHOWER to the North Arabian Sea and the Persian Gulf in support of OPERATION ENDURING FREEDOM and IRAQI FREEDOM. 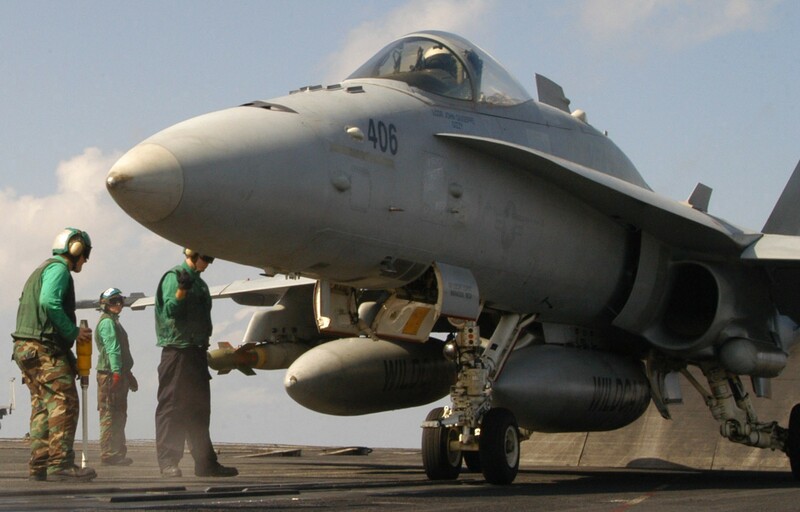 On November 6, 2006, the WILDCATS defined “Ready-On-Arrival” beginning combat operations for CVW-7 by successfully employing ordnance on the first night of support for OPERATION ENDURING FREEDOM. 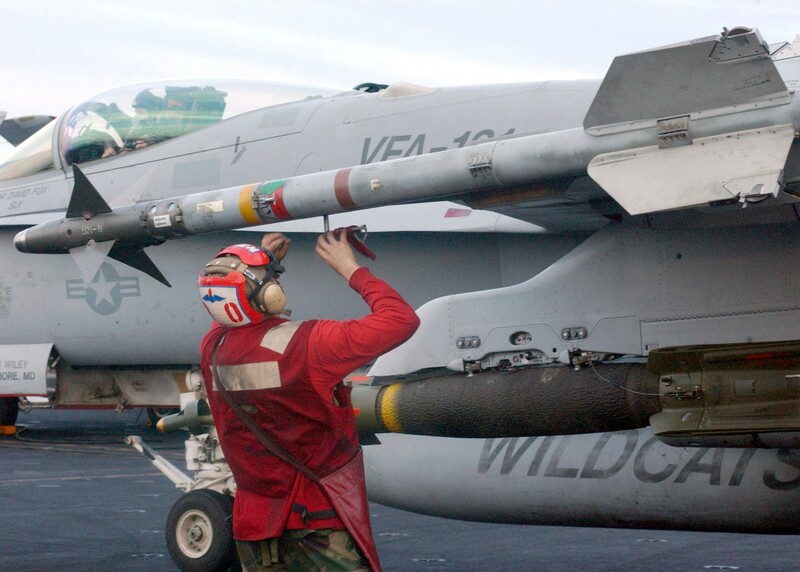 A month later, the WILDCATS transited to the Persian Gulf in support of coalition troops in OPERATION IRAQI FREEDOM and were the first to deliver ordnance for CVW-7. 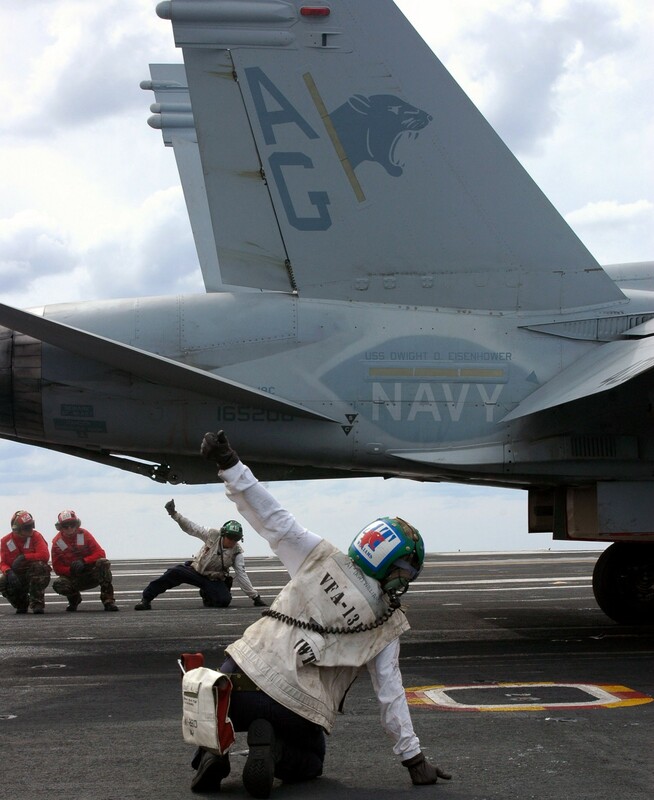 On 23 May 2007, the WILDCATS successfully completed their eight month deployment onboard EISENHOWER and returned home to Oceana. 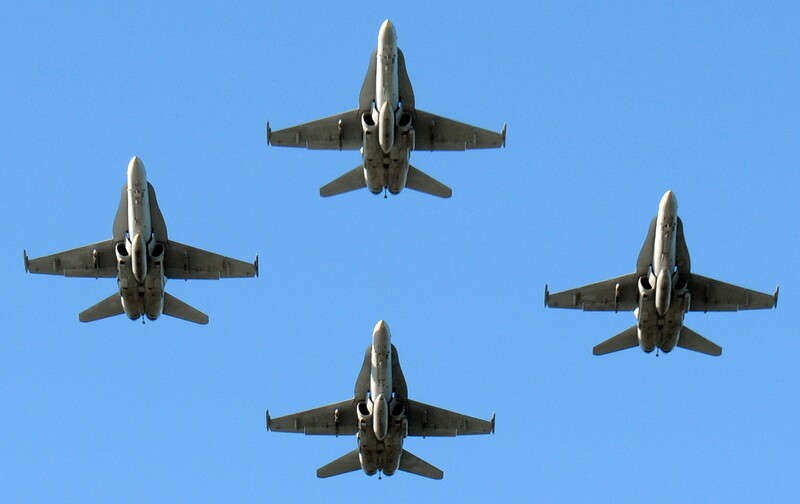 They were awarded the Battle "E" for being the best strike fighter squadron on the east coast. 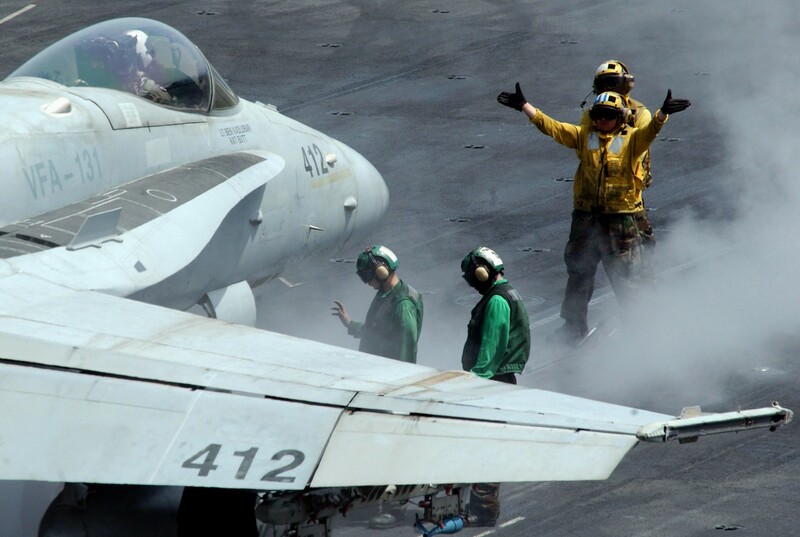 The Wildcats weathered through back-to-back deployments onboard EISENHOWER from 2009 to 2010 with only six months separating the two deployments. 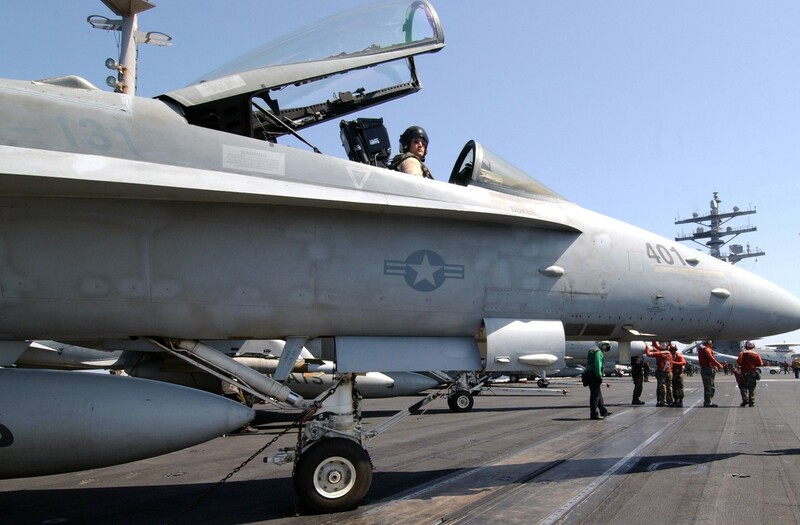 The WILDCATS flew combat missions in support of OPERATION ENDURING FREEDOM. 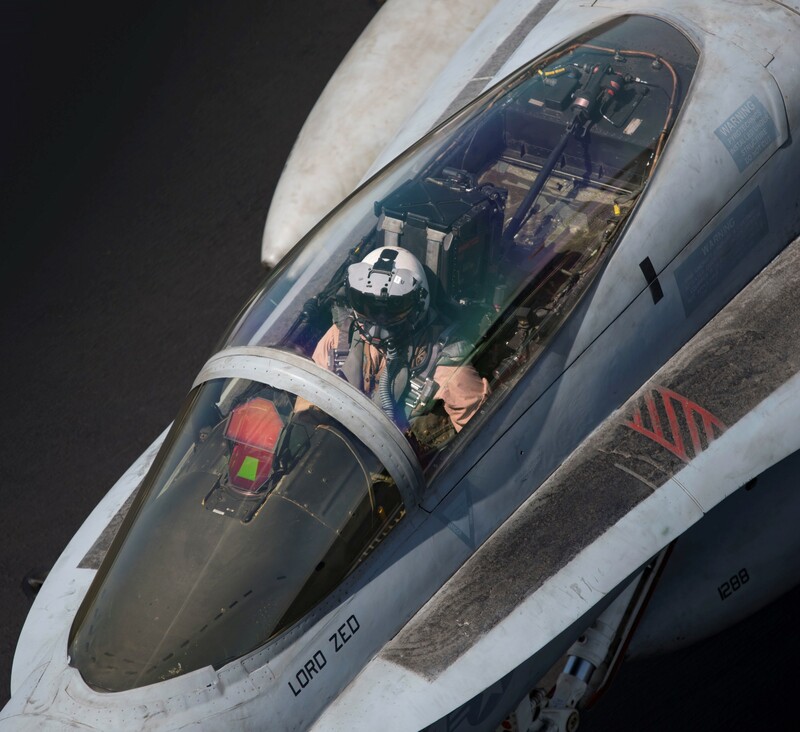 While in the Arabian Gulf they flew hundreds of sorties in support of Strike Group protection, regional tasking, and unit level training. 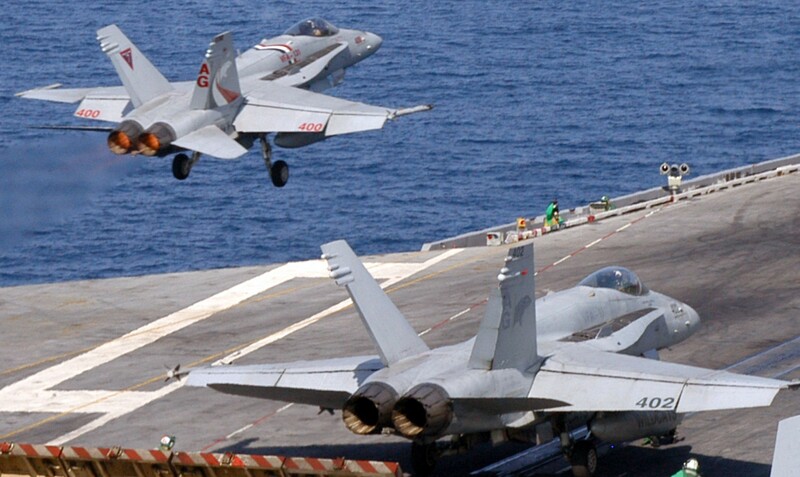 The WILDCATS were able to enjoy 5th Fleet port calls in various ports in the Mediterranean Sea, including Lisbon, Portugal and Marseille, France. 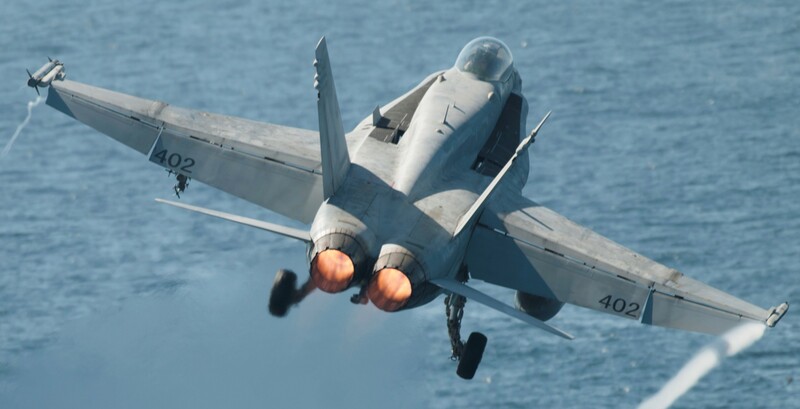 With great attention to safety and professionalism the WILDCATS were awarded the Safety "S" and Maintenance "M" for an exceptional safety and maintenance record. 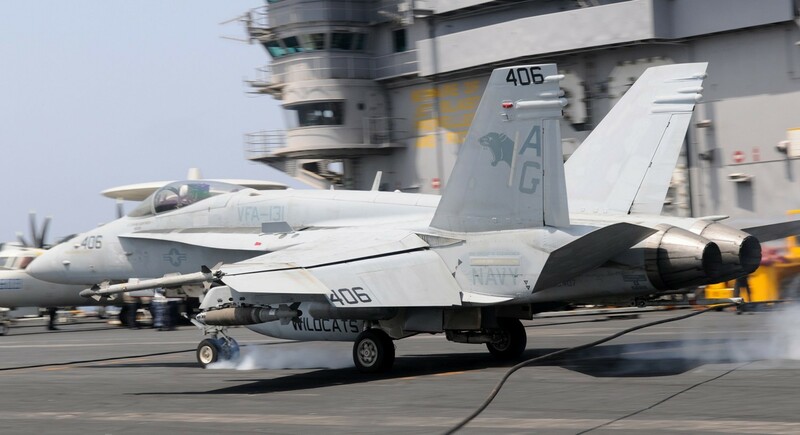 In June 2012, the WILDCATS again deployed to the Arabian Sea and Arabian Gulf with CVW-7 onboard EISENHOWER. 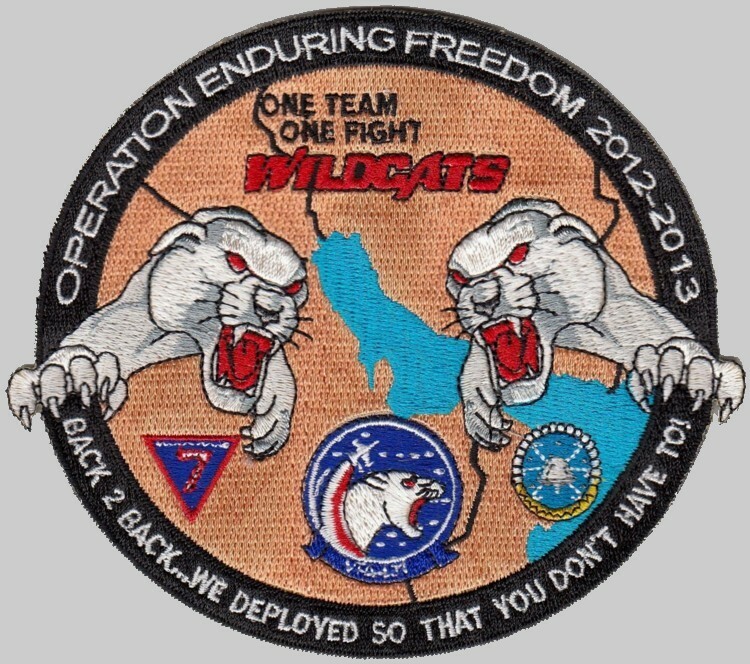 The WILDCATS executed combat operations in support of OPERATION ENDURING FREEDOM and other regional tasking in the Arabian Sea. 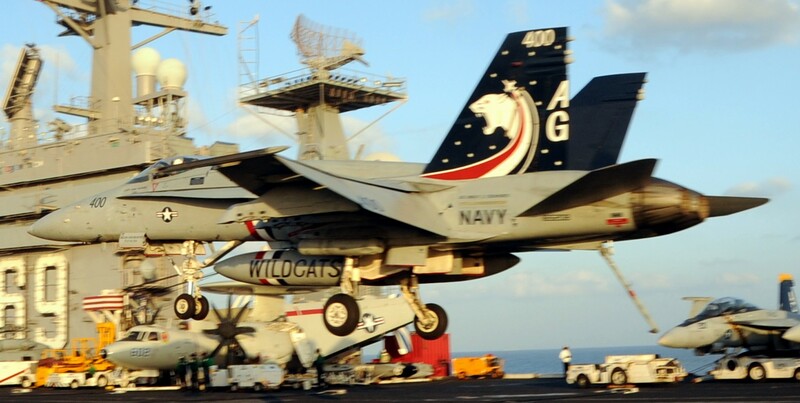 The WILDCATS returned home in December 2012 for the holidays, and were awarded the Enlisted Aviation Warfare Specialist (EAWS) Pennant and the USS DWIGHT D. EISENHOWER (CVN69) Captain's Cup Trophy. 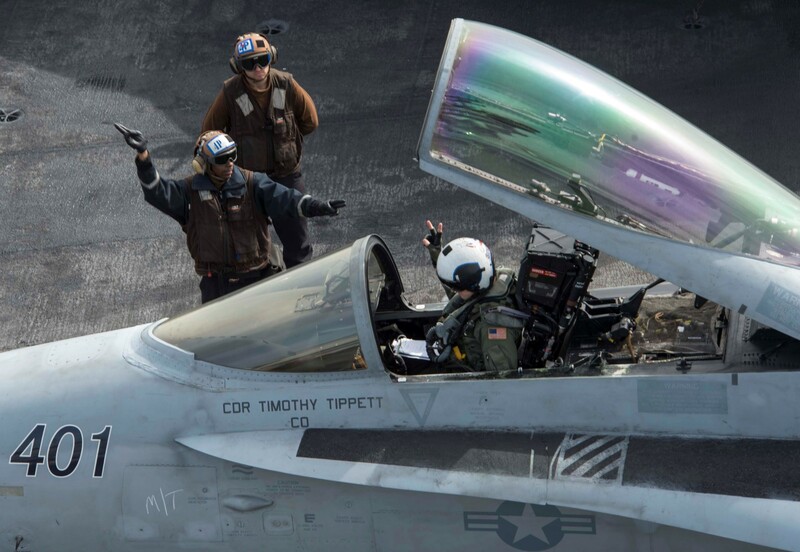 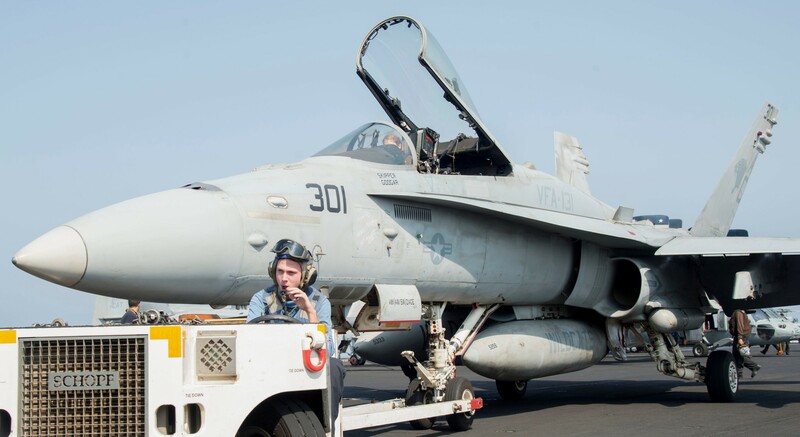 After an unprecedented two-month turnaround, the WILDCATS left for their most recent deployment in February 2013 onboard EISENHOWER to the north Arabian Sea. 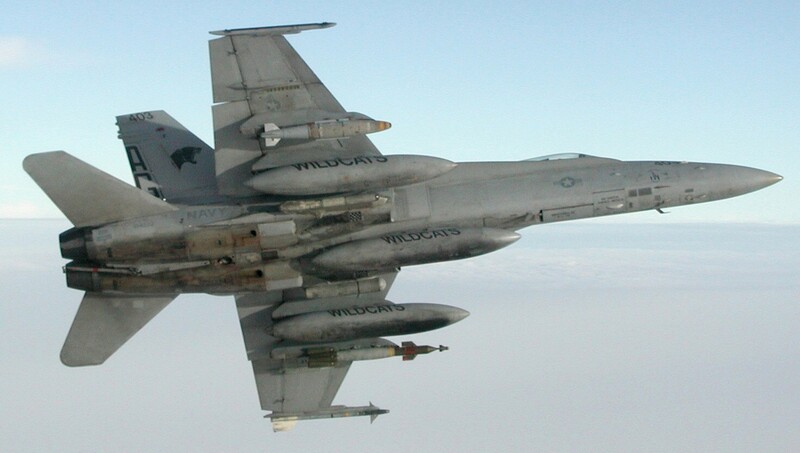 While deployed the WILDCATS flew combat operations in support of OPERATION ENDURING FREEDOM. 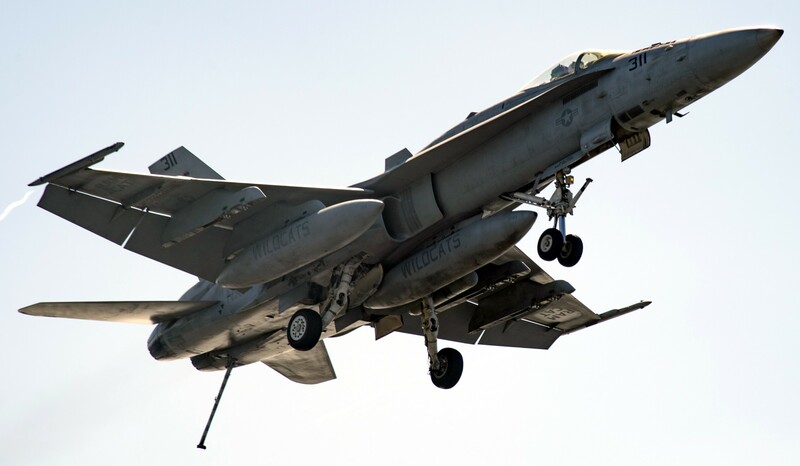 During the back-to-back deployments the WILDCATS flew over 2000 sorties and over 450 combat missions, equating to more than 2600 hours in country supporting OPERATION ENDURING FREEDOM. 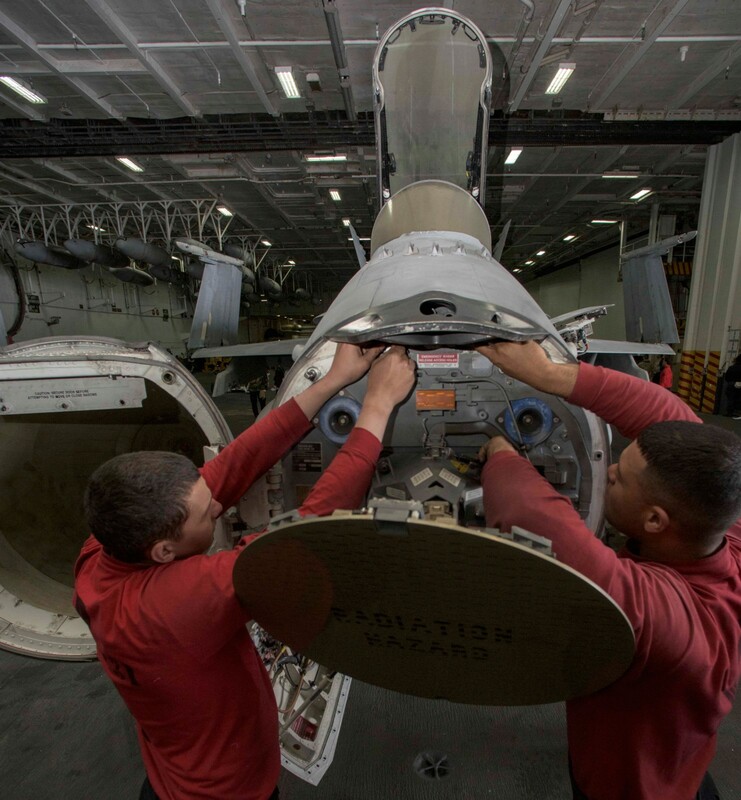 The WILDCATS had greater than a 100% combat sortie completion rate, a testament to the professionalism and incredible talent of the maintainers working day and night to ensure the ability to effectively support the mission. 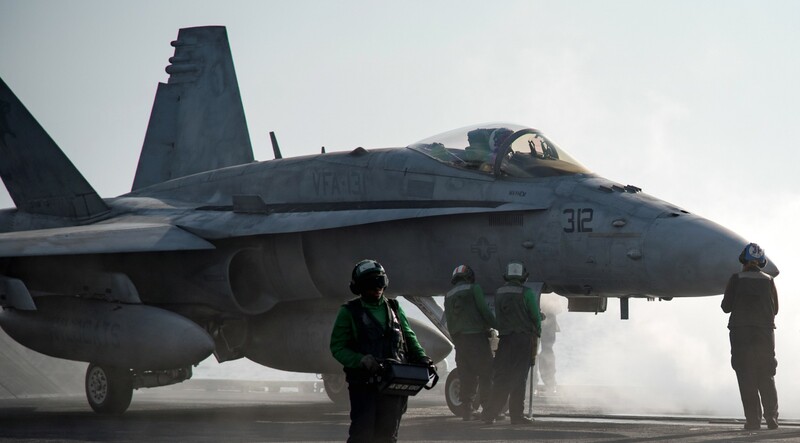 Upon return to homeport, the WILDCATS were awarded the USS DWIGHT D. EISENHOWER (CVN69) Captain's Cup Trophy for the second consecutive deployment.